Intuitive and customizable reporting which leads to successful hiring. 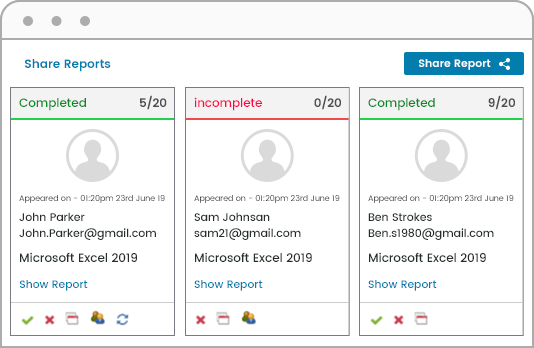 Empower recruiters and hiring managers with powerful reports that display a well-organized and easy to read the summary of a candidate's assessment result. Get rid of the traditional pass/fail grading categories to set your own performance categories. 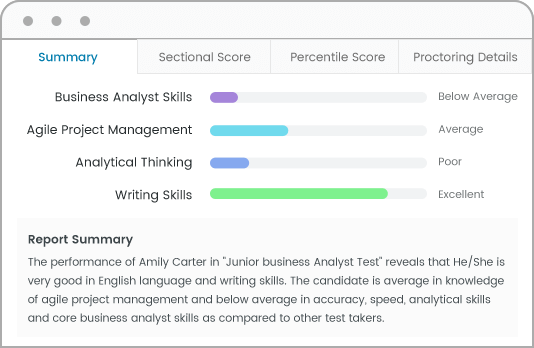 Summarize overall strengths and skill gaps of a group of candidates with comparative reports. Identify the top performers in campus hiring as well as lateral hiring with our All-In-One online skill testing software. 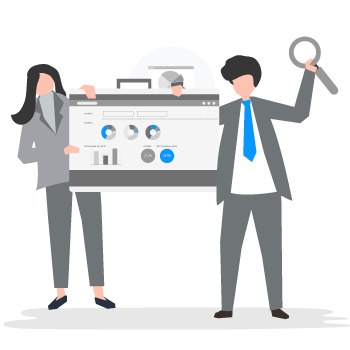 Use our advanced search to dig into the finer nuances of test data. 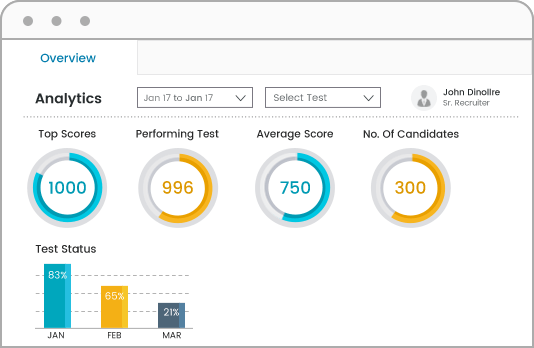 Get insights into section wise scores, data older than 90 days, test score, and performance categories. 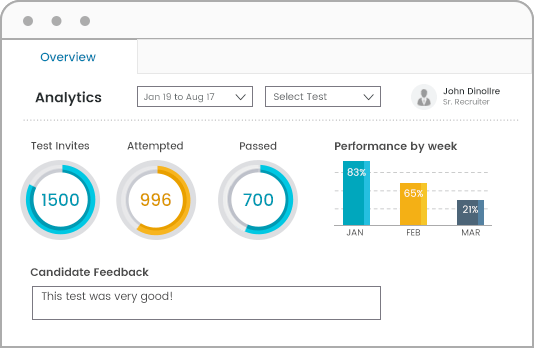 Review the week gone by with weekly emails that showcase assessment analytics like - top performing tests, candidate feedback, candidate invites, and candidate details. Track, measure and improve your hiring processes with these useful insights. 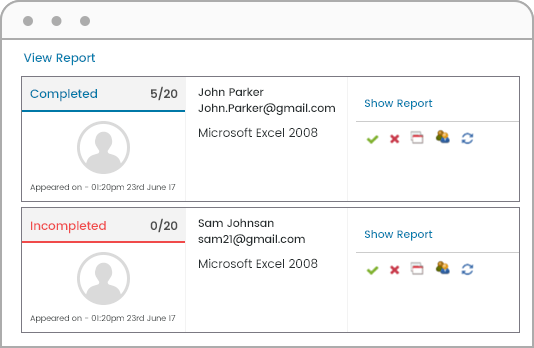 Get an email notification when the candidate completes the assessment. 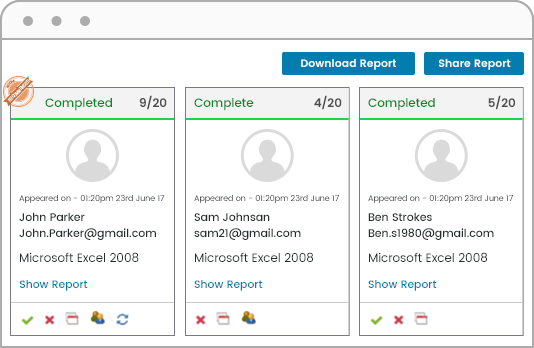 Share the candidate reports with your teammates in a PDF or Excel format. Utilize the reports for pre and post training comparison or workforce optimization planning. View in-depth analysis of your assessments; the most performing tests, top scores, average scores, no. of candidates invited, test status, and more. View all reports under a single umbrella. 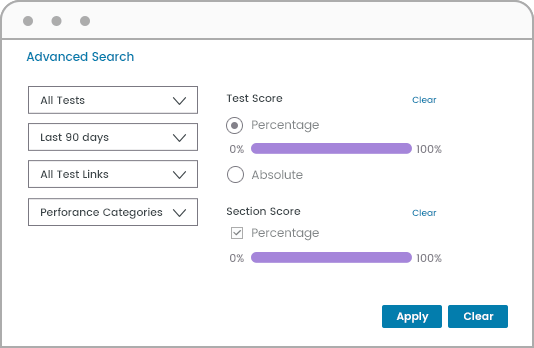 Compare candidate scores, section scores to make better hiring decisions.